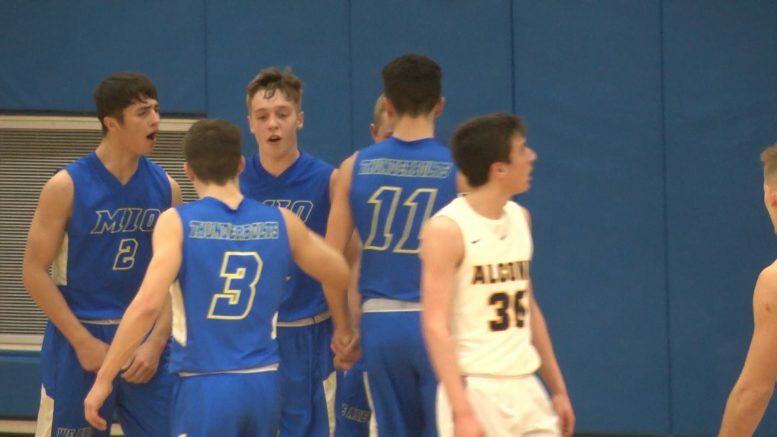 ALCONA, MI — The Mio Thunderbolts earned their tenth win of the season Tuesday night over the Alcona Tigers and it came down to deep shots. Mio made eight 3-pointers, four of which happened during the second quarter, versus Alcona’s two. Thunderbolts’ Brennon Mills knocked down three 3-pointers in the second quarter to help Mio take 26-18 lead at halftime. The Thunderbolts scored nine points in the third quarter, all from River Waisanen. Then Drew Hess made all six free throws in the fourth to help Mio defeat Alcona 57-39. Mio is (10-1) overall and (5-1) in the North Star League-Big Dipper.